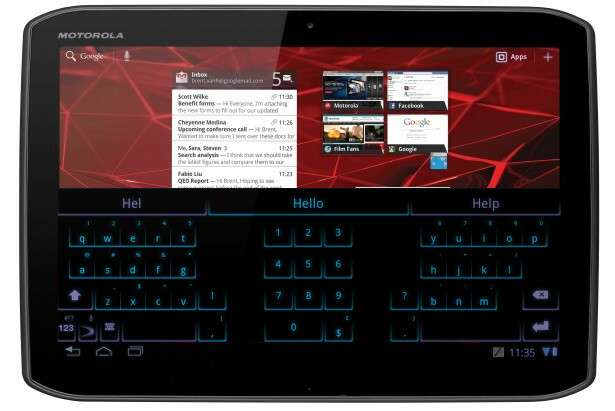 Reports out of Pocket Lint suggest that the Motorola XOOM 2 will come fully loaded with SwiftKey Tablet X. As a tablet keyboard that was first introduced at CES, it was only a matter of time before an OEM picked it up to help differentiate themselves from the rest. One of the running issues with Android tablets has been the fact that there are very little differences between them. We know that HTC and Samsung have taken to skins to set themselves apart and this could be the next step towards Moto doing that with their bigger slates. We know we have some big SwiftKey fans around here, thanks to a recent poll we ran, but will the presence of the tablet SwiftKey on the newest XOOMs be reason enough for you to go out and buy one? When I get a new device and see that Swype has come pre-loaded I always find myself a little more happy – can’t necessarily say it was one of the deciding factors for purchasing it though. Digital Versus Physical: Does RIM's Vision of the Future Interest You?